Employee Gifts, Tech Events, Dealer Gifts, Data Entry, Students and much more. 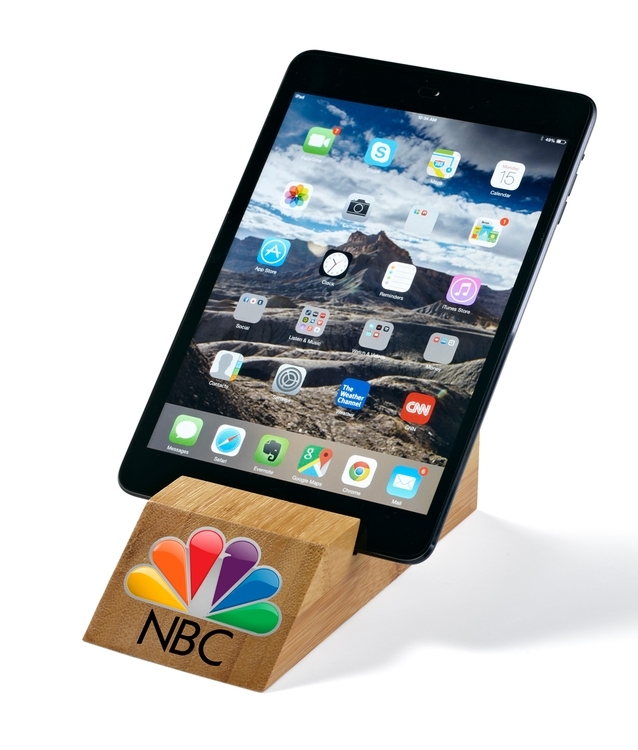 100% Premium Bamboo Tablet/iPhone Holder. Puts your favorite device at the perfect angle for working and viewing. Includes either a full color digital or laser engraved imprint at the same price. 3 1/2" x 7" x 1 1/2"
IMPRINT: One to full color digital imprint or a Laser Engraved imprint in a 1 3/4"h h x 2 1/2" area.